Born in Wales, Richard began his career working in a number of Welsh country house hotels before moving to the 3 Michelin starred restaurant, Gordon Ramsay, where he spent three years and worked his way up from demi-chef to chef de partie. Richard also spent one year at two Michelin starred The Vineyard at Stockcross in Newbury, and one year at the Sawyards Restaurant in Storrington and it was here that he achieved his first Michelin star within 5 months, shortly followed by recognition from Egon Ronay. 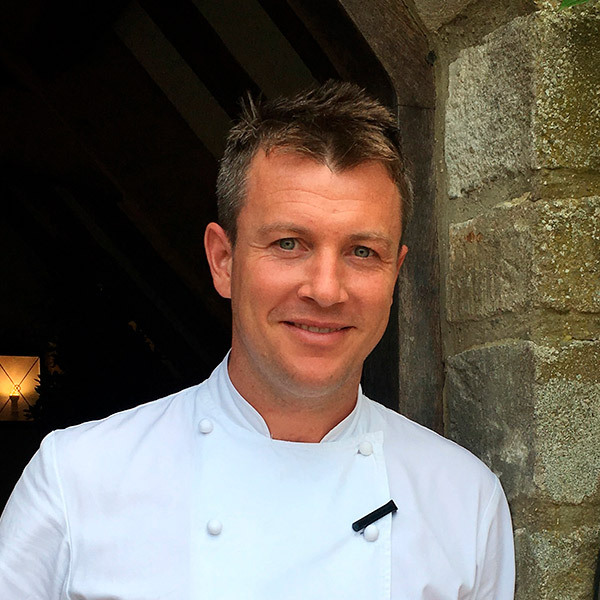 In 2007, Richard took up the role of head chef at The Manor House, Castle Combe and just two years later, won a Michelin star which he retained throughout his 8 years there. After returning to his native Wales as head chef for the launch of the Epicure restaurant at Celtic Manor in Newport in 2016, Richard became Executive Chef at Calcot Manor, Tetbury, in 2017. Richard took part in BBC Two’s popular culinary show, Great British Menu, three times.